“Best home buying experience imaginable!” was the first thing Barry and Pam Taylor had to say after they purchased Dreambuilder Ten. 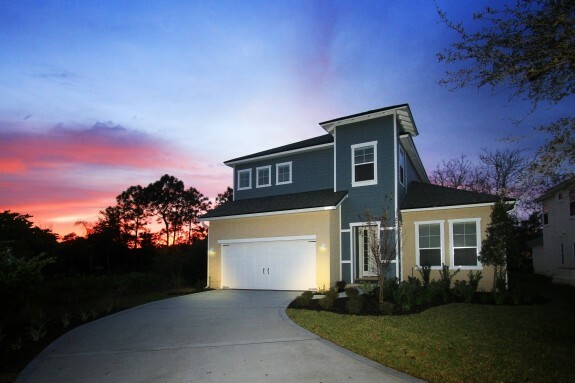 The Taylors and their three children have settled in and are now enjoying their new custom home in The Sanctuary, located in south Jacksonville Beach. Dreambuilder Ten is an ideal home for a family like the Taylors. At just over 2600 square feet, there’s plenty of room to spread out. Upon entering the home, visitors will be amazed at the entry foyer with recessed ceiling and the dramatic, two-story stairhall. A study with coffered ceiling and a guest suite are tucked privately away from the rest of the home. 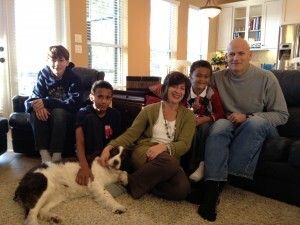 Meanwhile, an open family room, dining room, kitchen and breakfast area set the stage for warmth and togetherness. Beautiful lake views from the screened porch top off the experience, making the home ideal for entertaining. Upstairs, three additional bedrooms and a loft provide lots of room for the family – with the loft convertible to a fifth bedroom, making the home even more versatile. Quality touches such as abundant crown moulding, Kohler plumbing fixtures and a professionally-designed kitchen with desk area make the home not only unique but very functional – the kind of detail the Dreambuilder brings to every home. You can see complete floorplans and pictures of Dreambuilder Ten in our Dream Home Gallery, and complete progress pictures from start to finish are on our Facebook page. You can also read the Taylor’s complete testimonial. 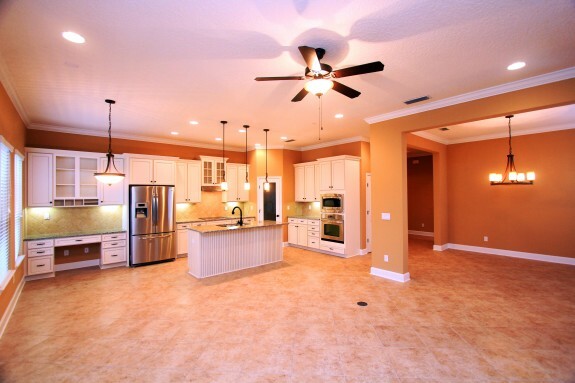 Dreambuilder Custom Homes can help you build the home of your dreams anywhere in northeast Florida. Contact us today for a complimentary consultation!